Paranormality: Cherish D'Angelo Blog Tour! Thank you so much, Lynda, for hosting me during my Cherish the Romance Virtual Book Tour, which launches my contemporary romantic suspense Lancelot's Lady. I have been drawn to all things paranormal ever since I was a child. From visits to psychics to Ouija boards that won't go away to prediction dreams to seeing ghosts, I've experienced some bizarre things. Not surprisingly, these weird events have inspired some of my best works. 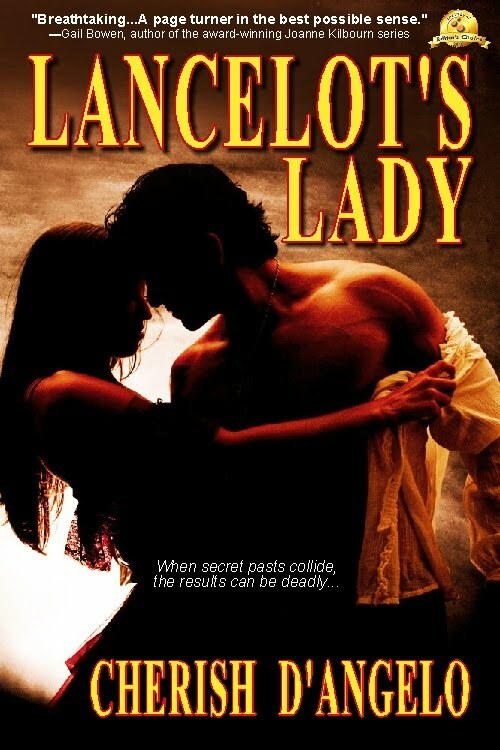 Though Lancelot's Lady is the first novel I've written that doesn't have some kind of paranormal element, it does have a strong theme of coincidence and fate. First let me tell you about my paranormal works, written under the name Cheryl Kaye Tardif. My inspirational novel Whale Song deals with racism, abuse, bullying, death, native folklore and reincarnation. It is a "sweet and sad" tale about love and family, and the paranormal elements are beautiful, hopeful and inspiring. Because of its powerful messages, Whale Song has changed people's lives and is being used in schools (US, Canada and Europe) for novel studies and in a women's shelter in Georgia as mandatory reading for guests. Divine Intervention is a darker paranormal thriller. It deals with psychic government agents, each with a specific gift. Agent Jasi McLellan is a Pyro-Pyschic who reads fires. One whiff of smoke and she's sent reeling into the minds of killers. Her partner Ben is a Pyschometric Empath; he reads object when he touches them. Jasi's other partner Natassia is a Victim Empath; she sees into the minds of victims, whether they're alive or dead. My techno-thriller The River has a paranormal element that borders on sci-fi. While Del Hawthorne and her friends travel along the Nahanni River, an area known as the "Bermuda Triangle of Canada", they discover a cave with an underground river. As they venture deeper into the cave, a peculiar blue light emanates from the far end. That blue light is otherworldly, or at the very least, othertimely, and Del discovers that not everything is as it seems―not even the people she's traveling with. In my novelette Remote Control, Harry Fielding discovers that you don't get things by wishing for them. Or do you? A freak storm sends an electrical charge through Harry's TV and remote control, and what transpires is a glimpse into the soul of a man filled with greed and selfishness. Harry learns, far too late, that greed has its own form of retribution. "Be careful what you wish for! You might just get it." Some men should never have a remote control in hand. Skeletons in the Closet & Other Creepy Stories is a collection filled with paranormal or supernatural activities. Remember that Ouija board I mentioned? You'll find that story here―and it's based on true events. You'll find Remote Control plus twelve creepy stories, including one of my favourites, Picture Perfect. This collection is inspired by watching The Twilight Zone and The Hitchhiker television series and from all the Stephen King shorts I've read. Lancelot's Lady, my contemporary romantic suspense, has no element of paranormal―though maybe for me that IS the paranormal element; that there isn't one. You won't find a Ouija board or skeletons in the closet or an old man with a golden tooth, but you will find a love story that begins long before our hero and heroine meet. It starts with a chance meeting and a terrible tragedy. Coincidence and fate play a strong role as two people are brought together, each suffering from pasts filled with bad experiences. Who controls our destiny? Do we? Or is everything up to fate? Lancelot's Lady is ultimately a story about finding true love...and coming home. 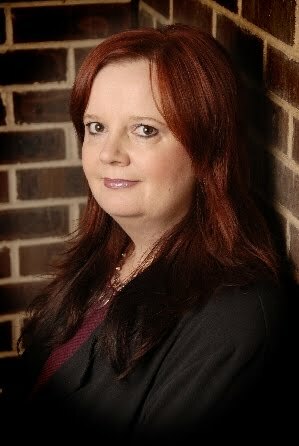 You can learn more about Lancelot's Lady and Cherish D'Angelo (aka Cheryl Kaye Tardif) at http://www.cherishdangelo.com/ and http://www.cherylktardif.blogspot.com/ . Follow Cherish from September 27 to October 10 on her Cherish the Romance Virtual Book Tour and win prizes. Have you read any of Stephen King's collections of short stories? Which is your favorite? Have you seen The Twilight Zone or The Hitchhiker? Why do you like these shows? Love Stephen King's short story collections, far better than some of his novels in the 90s. And the Twilight Zone just amazes me with it's cleverness and twists, but I never did see The Hitchhiker. Maybe I should. Thank you both for stopping by and elaving your email addresses. You're now entered into today's draws. Good luck. This is stop #30 for me!! This is fun!!! Thanks for dropping by, Sara and good luck in the draws. Hi Katrina, great to see you found me again. lol I'll look for you tomorrow at all my next stops. :-) Good luck in all my draws. Divine Intervention sounds great, Can't to read it. I love Stephen King's books and movies. I loved watching the Twilight zone. I've always been fascinated with the supernatural/paranormal Even as a small child these types of movies and books appealed to me.